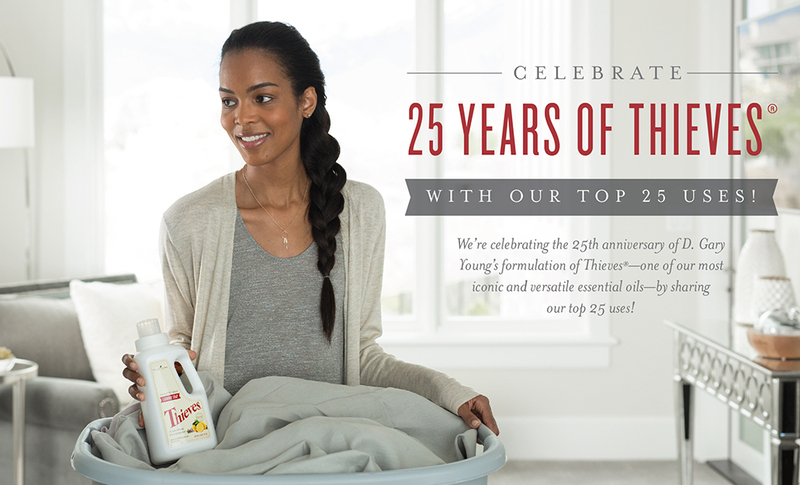 This year we’re celebrating the 25th anniversary of the creation of Thieves®! Combining Lemon, Clove, Cinnamon Bark, Eucalyptus Radiata, and Rosemary essential oils, our one-of-a-kind Thieves blend has more uses than we can count! We know that each person has their own favorite ways to use Thieves, and we want to share ours, too. So check out our top 25 ways to use Thieves, and be sure to leave a comment below for your shot at winning our Thieves giveaway. Rub 1 drop onto the bottoms of your feet before heading out for the day. Diffuse to bring a spicy, welcoming fragrance to any room of your house. Add a drop or two of Thieves to mop water to add extra cleaning power and a fresh scent. Make a deep-cleaning scrub by combining baking soda, Thieves Household Cleaner, and 2 drops of Thieves to form a thick paste. Add a drop or two of Thieves to Thieves Laundry Soap for an extra boost of freshness for clean clothes that smell great! After washing your clothes with Thieves Laundry Soap, add 4–5 drops of Thieves onto a washcloth and tumble with the laundry in the dryer for extra Thieves aroma. Make your own deodorant? Give your DIY deodorant an aromatic boost with a few drops of Thieves. Diffuse Thieves with a few drops of Orange, Tangerine, or Nutmeg essential oil for a delicious spicy-citrus aroma. Add a few drops of Thieves to a basin or bowl of hot water, tent a towel over your head and the basin, and breathe deeply for a rejuvenating home spa experience. Use to remove sticky labels on glasses. Remove as much of the label as you can, add a drop of Thieves, let sit for several minutes, then rub clean. Make a deodorizing room and linen spray by combining 4 drops of Thieves with water in a spray bottle and spraying around the house. Clean your dishwasher by running an empty cycle with white vinegar and 2 drops of Thieves in the detergent dispenser. Add a drop to the cardboard inside of your toilet paper rolls for a hint of Thieves freshness throughout the bathroom. Use a drop of Thieves on a tissue to remove stains from whiteboards. Put a drop on your hands, rub them together, then cup your hands loosely over your nose and mouth while inhaling. Add a drop to a cotton ball and stash it in your air vents to circulate the spicy scent of Thieves throughout your home. 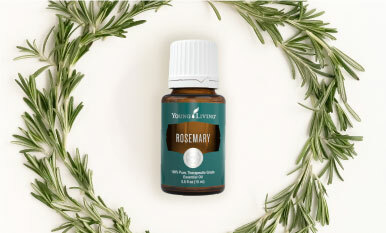 Scrub your sink with a few drops of Thieves after washing dishes to dispel any lingering odors. Drop Thieves onto a cloth and keep it in your gym bag to keep it and its contents smelling fresher. Combine 10 drops of Thieves with a cup of Epsom salt and add to a bath for a nice, relaxing soak. Take internally by adding 2–4 drops of Thieves Vitality to a vegetarian gel capsule and swallowing with water. Add a drop of Thieves Vitality and 2 drops of Orange Vitality to your daily glass of NingXia Red®. Give your herbal tea a kick of flavor by adding a drop of Thieves Vitality. Combine Thieves Vitality with Cinnamon Bark Vitality and Clove Vitality in dessert recipes that welcome a little spice. Add a drop to your toothbrush before brushing for an even fresher experience! Did we miss your favorite way to use Thieves? Share with us below in the comments for your chance to become our randomly selected winner of one (1) 15-ml bottle of Thieves essential oil blend, one (1) 14.4 fl. 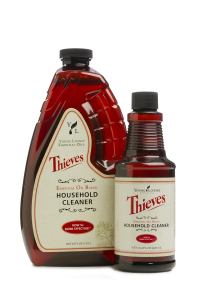 oz Thieves Household Cleaner, one (1) Thieves Laundry Soap, and one (1) 5-ml bottle of Thieves Vitality, valued at $130.57! Contest ends at 11:59 p.m., MT, on Wednesday, August 3. One winner will be chosen at random and announced on the blog on Thursday, August 4. Congratulations to S. Bullimore who won our Thieves gift pack! Thanks to everyone who commented–we loved reading how you use Thieves products! How Did D. Gary Young Formulate Thieves? 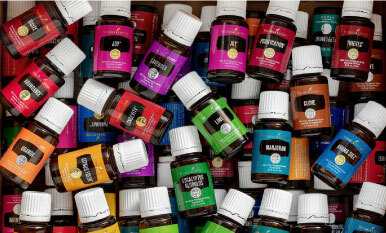 Young Living Founder and Chairman of the Board D. Gary Young recounts the history of his formulation of the essential oil blend Thieves, which was created as a result of his studying at the Warwick University in London, England, in 1991 and spending many hours at the London Library researching essential oils and their history. “I must tell you that I have read 17 different versions of the Thieves story,” says Gary, “Some that claim there were four thieves and others that claim there were 40! Many of these legends took place in the 15th century, but still others put the date in the 18th century. 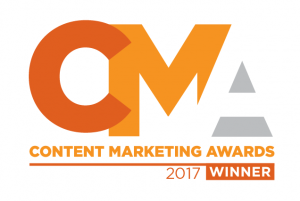 The formulas also varied from one story to the next, but through my research, I was led to four key botanicals that were mentioned again and again. 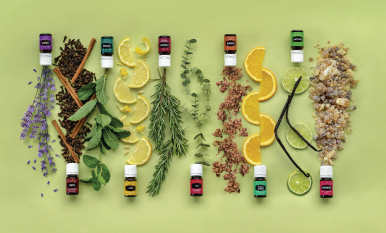 Those ingredients were clove, cinnamon, rosemary, and lemon—four of the same ingredients that make up Young Living’s Thieves essential oil blend today. “The legends speculate that the thieves believed that wearing this special combination of botanicals provided protection while they were stealing. French authorities recognized that there was such value in this mixture that upon the thieves’ capture, they received a more merciful punishment on condition that they divulge the ingredients in their secret formula to the king.